What role do literature, science and policy play in protecting the planet? 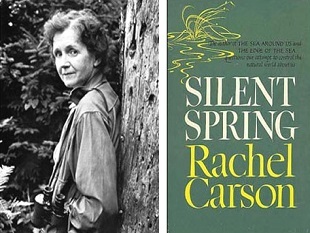 Fifty years since the death of conservationist Rachel Carson, we look at her masterpiece Silent Spring, and ask "what have we learnt?" Join our panel of experts; author John Burnside FRSL, scientist Professor John Pickett FRS and policy maker Kerry ten Kate as they dissect this important question and place it in the context of the environmental challenges we face today. This event is held in collaboration with the Royal Society of Literature.